Whatever happened to the carefree days of childhood? 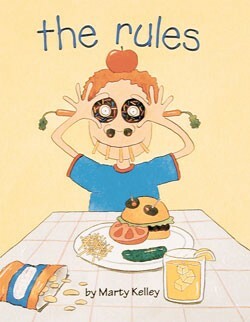 These days, being a kid means following rules. Lots of rules. Want a piece of cake? You've got to eat your peas first. Getting dressed? Make sure your underwear's clean. It's getting so you can't even stick a peanut up your nose without getting in trouble. Where's the payoff? It's right here. 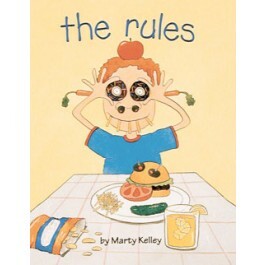 Because Marty Kelley, the best-selling author/illustrator of "Fall is Not Easy", has helpfully written all these rules down for you-and he's made 'em rhyme. And his pictures are so silly, you might even forget all about those rules- at least for a little while.